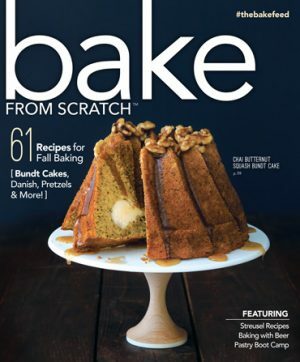 Bake like a Brit with our British baking issue of Bake from Scratch magazine! You’ll find everything from the essential English muffin to iconic puddings. 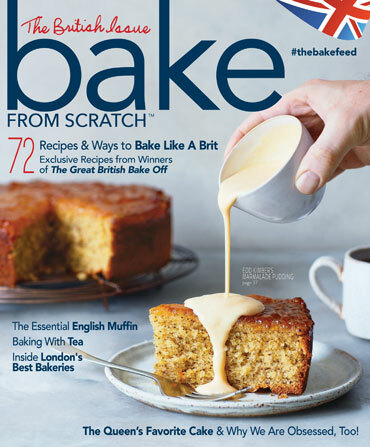 Bake like a Brit with our first-ever British baking-themed issue! 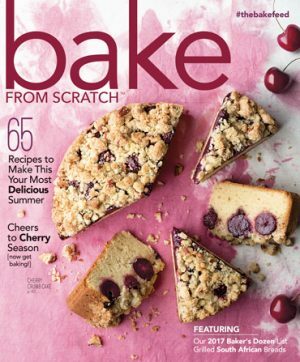 We asked Edd Kimber (of The Boy Who Bakes and winner of the first season of The Great British Bake Off) to join us in producing an entire issue chock-full of amazing recipes from across the pond. From the essential English muffin and iconic puddings to the Queen’s favorite cake and baking with tea, our January/February issue will allow you to experience the joys of British baking in your own kitchen. Travel with us, from the bustling streets of London to the quiet English countryside, as we visit British bakeries, Edd’s favorite London spots, and John Whaite’s Cookery School in Lancashire. Learn the dos and don’ts of afternoon tea from Will Torrent, one of England’s top pastry chefs. We even host and share recipes from a British bakers potluck with some of the biggest all-stars on Britain’s baking scene today. 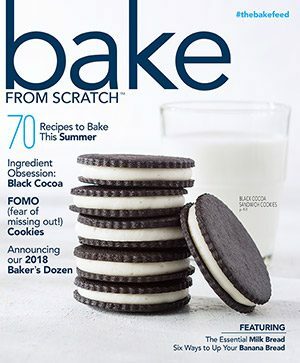 Order your issue, and get baking!